WEDNESDAY, April 12, 2017 (HealthDay News) -- Some surgery patients prescribed opioids for post-operative pain relief may face a high risk for developing a long-term opioid addiction, new research warns. The analysis tracked a half-year of opioid use among more than 36,000 surgery patients. None had taken opioids before their surgical procedure. "We found that 5 to 6 percent of patients not using opioids prior to surgery continued to fill prescriptions for opioids long after what would be considered normal surgical recovery," said study author Dr. Chad Brummett. He is director of the division of pain research at the University of Michigan Medical School. "Moreover, the rates of new chronic use did not differ between patients having major and minor surgeries, suggesting that patients continue to use these pain medications for something other than simply pain from surgery," he added. The risk was highest among smokers; patients who had struggled with alcohol and/or drugs in the past; those previously diagnosed with depression or anxiety; and those with a history of chronic pain, the findings showed. Patients who smoked and those who had a history of alcohol and/or drug abuse faced about a 30 percent higher risk. And that increased risk rose to roughly 50 percent among patients with a history of arthritis, the researcher said. The outcome is that "pain medication [prescriptions] written for surgery are a major cause of new chronic opioid use for millions of Americans each year," Brummett said. More than 50 million surgeries are performed in the United States annually, the study authors noted. In many cases, the pain control drug of choice is an opioid medication such as Vicodin or Oxycontin. Brummett said that it's not uncommon to offer patients about a week's worth of these meds for post-op pain. But the United States is in the grip of an opioid painkiller epidemic, with more than 10 million people using prescription opioids for non-medical reasons in 2014, according to the U.S. Department of Health and Human Services. Meanwhile, there has been a quadrupling of prescriptions for opioids since 1999, even though there has been no commensurate rise in reported pain levels among U.S. patients, the agency added. In the new study, the patients were about 45 years old, on average. About two-thirds were women, three-quarters were white, and all underwent surgery between 2013 and 2014. Roughly 80 percent underwent minor surgery, such as varicose vein removal or a range of minimally invasive operations. The other 20 percent underwent a major operation, such as a hysterectomy or colectomy. Just before surgery, patients were given prescriptions for a total of between 30 to 45 opioid tablets. But following surgery, about 6 percent of both major and minor surgical patients went on to fill an additional three prescriptions, adding up to an average total of roughly 125 pills over a three- to six-month post-op period, according to the report. In contrast, among a group of men and women who didn't have surgery and hadn't taken an opioid medication in the prior year, less than half of 1 percent engaged in a similar pattern of long-term opioid abuse. 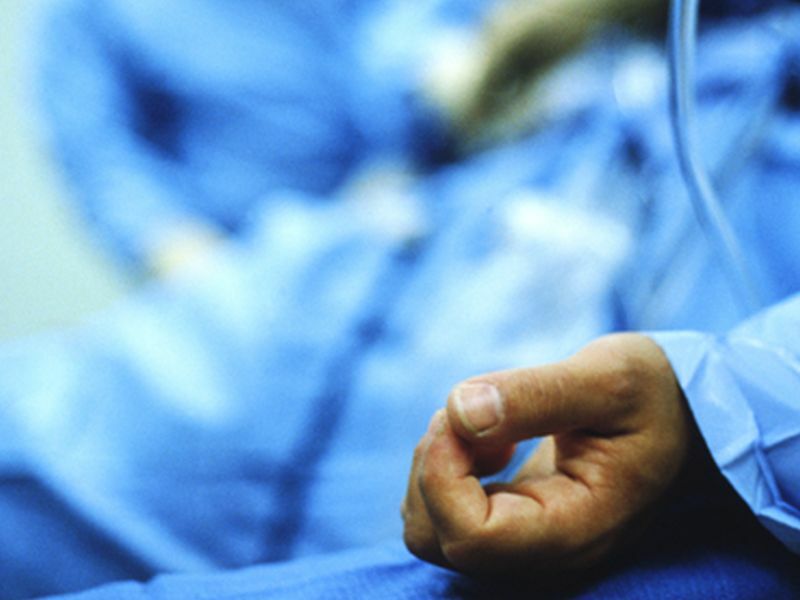 The findings were published online April 12 in JAMA Surgery. Brummett acknowledged that pain control is important. And "opioids are still very good medications for treating acute pain after surgery or injury," he added. "However, in the days or weeks after surgery, patients should wean off of opioids even if they continue to have some pain," he said. "If their pain becomes chronic, they should seek additional care and consider other medications and alternatives to opioids." One recent study showed that opioid dependence can take hold in as little as five days. "Clinicians should be cautious about prescribing and consider the potential risks of opioids after surgery," Brummett said. One idea: screening patients, by means of questionnaires, for histories of "pain, mood and function." Anita Gupta, an international affairs fellow with the Woodrow Wilson School at Princeton University, said the problem calls for much more patient-doctor face time. "We should have been screening years ago. All patients are not the same," Gupta said. "Different patients require different treatments," she explained. "Cookie-cutter algorithms and check-boxes are not proper ways to treat all patients who have a broad range of surgeries." Gupta agreed that "until we find alternatives, opioids will remain a cornerstone of pain treatment. But surgical patients are highly complex. And effective and safe pain management requires making time for patient-centric care, so when we prescribe opioids we do it safely and responsibly."